Protruding through the sedimentary rubble, the dark grain of this magma sill runs straight up and down forming needles and pinnacles. Looking east from the peak of Hesperus at the jagged profile of Lavender, a subpeak on Mount Moss. 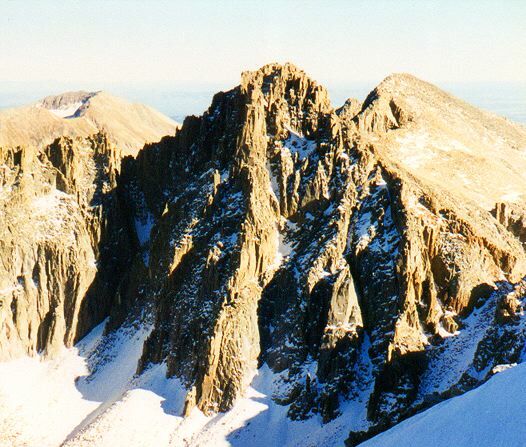 The razor-edge ridge in the sun, (to the left) leads over onto Centennial Peak.